Looking for a fun LA sightseeing tour with kids? American Riviera Tours offers family and kid friendly day tour in Los Angeles. During Los Angeles Aquarium of the Pacific sightseeing tour your kids will enjoy LA great weather and famous Ocean Aquarium. Our professional tour guide will pick your family up from your hotel in Los Angeles for the wonderful journey to Long Beach Aquarium of the Pacific. At the Aquarium of the Pacific your family will enjoy learning about famous sea creatures: seals and sea lions, sharks, rays, tropical fish. Ray Habitat Touch-pool - gently touch a bat ray or shovel-nose guitarfish at the Ray Touchpool while learning about these animals from aquarium staff. Lorikeet Forest - transport yourself to the coastal lowlands of Australia when you enter Lorikeet Forest, a 5,400-square-foot outdoor aviary. Purchase a small cup of nectar, the lorikeets’ favorite food, to feed the birds as you walk through the exhibit. They will land on your hand, arm, shoulder or even your head to get a sip of sweet nectar! Southern California Baja Gallery - The Southern California Baja Gallery represents this diverse marine environment in 18 exhibits. At the entrance of the gallery is the impressive Honda Blue Cavern. This 142,000-gallon, three-story high exhibit stands at the end of the Aquarium’s Great Hall of the Pacific and features ocean inhabitants found off the coast of Catalina Island. Family friendly tour of The Aquarium of the Pacific will last 4 hours and will be provided just for your family or group. There is a food court for a quick lunch. Aquarium of the Pacific kid friendly tour is available any day with free pick-up and drop-off at your hotel in Los Angeles, Santa Monica, LAX airport, Hollywood, Beverly Hills, Long Beach, Anaheim, Disneyland area. 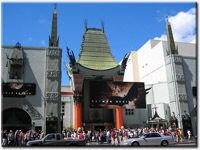 We can customize our Los Angeles day tour according to your kids preferences. If you have any questions about Aquarium of the Pacific kid friendly tours Los Angeles, just drop us a quick note to info@latraveltours.com or call 1-800-761-1775, In Australia, call (03) 9005 5907. Custom quotes for sightseeing bus (coach rental) group tour, field trip tour. Best rated family trip tour and excursion on TripAdvisor, Yahoo and Google - reviews for American Riviera private tours. Great for families with small kids LA Sightseeing Tour!